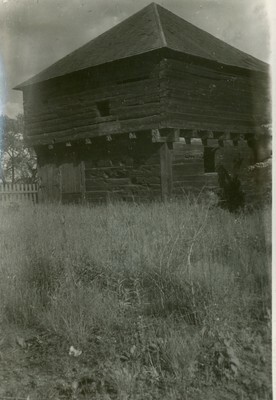 A scanned black and white photograph shows an old two-story wooden structure. The structure is surrounded by overgrown grass. A written caption "Fort Halifax, Winslow 1754" is written next to the photo.